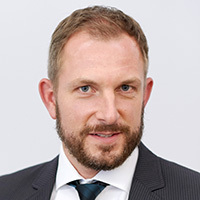 Christian Donath worked as civil engineer at Hochtief Construction AG for a decade. He was founding CEO of the German Sustainable Building Council (DGNB) and Board member of the World Green Building Council. He serves as Managing Director of ECO Platform - a European initiative for harmonisation of Environmental Product Declarations. Since 2010, he has been a consultant to real estate owners and product manufacturers through his own company, Consulting Donath, and as a partner of RKDS Partners in the fields of data exchange and sustainability. With BIM Sources he offers smart solutions for the exchange of digital data for industry. Manufacturers are confronted with a seemingly endless stream of requests for information about their products, organisation and supply chain. The multiple requirements and requests represent an enormous effort and significant risk to the manufacturers, since neither data formats nor communication channels are standardised yet. The solution can be surprisingly simple. The basis is machine-readable digital data and a smart Product Information Management (PIM) system of manufacturers. Christian Donath explains the data exchange with an example of the complex communication flow in the construction sector and which types of information / data are relevant.